At some point during the course of her pregnancy, a woman may begin to experience low back pain and even sciatica, that is, radiating pain down the back of a leg. The likely explanation for most of these cases of obstetric-related low back pain is the increased mechanical load due to the weight of the developing fetus, amniotic fluid, and placenta. Many times, low back pain is transient and resolves on its own. However, pregnancy-associated low back pain may persist for more than a week and require conservative treatment to help reduce pain and achieve resolution. Chiropractic care is the optimal conservative treatment for pregnancy-related low back pain, with or without sciatica. The musculoskeletal structures affected by the increased weight of pregnancy are the vertebral joints of the lumbar spine, the sacroiliac joints, the local ligaments, and spinal musculature. The sacroiliac joints, especially, contain numerous pain receptors and sacroiliac joint dysfunction often causes a substantial component of a pregnant woman's low back pain. Chiropractic care identifies, analyzes, and corrects these sources of lumbar spine and sacroiliac joint dysfunction and nerve irritation. As a result, information exchange between the brain and the rest of the body is optimized. The ability of the lumbar vertebrae and the sacroiliac joints to bear weight and manage the increased mechanical stresses of pregnancy is facilitated. Stimulation to pain receptors is reduced and the supporting musculature is enabled to relax. Function improves and a sense of improving health and well-being is restored. In the case of a breech presentation, the buttocks and/or feet of the fetus are positioned closest to the birth canal, rather than in the more typical vertex presentation, with the fetus's head being closest to the route of delivery. A breech presentation occurs during 3-4% of all full-term births. Factors that may be associated with a breech presentation include prior pregnancy, the presence of twins, and too little or too much amniotic fluid. A breech presentation may be identified by specific palpation of the abdomen and confirmed, if needed, by an ultrasound of pelvic examination. Chiropractic care may be utilized in the overall healthcare management of a breech presentation. If the pregnant mother-to-be chooses a vaginal delivery, chiropractic care may be employed to provide integrative support. 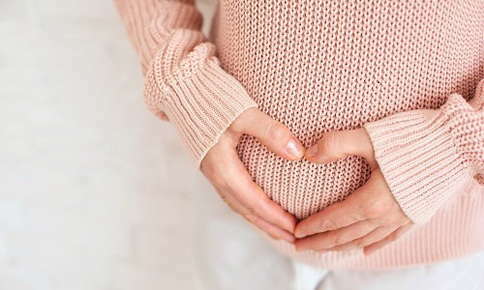 By detecting and correcting spinal misalignments and sources of nerve interference in the mother-to-be, chiropractic care helps to optimize all of her physiological processes, including supporting the health and well-being of her developing fetus. By helping to restore and maintain peak physiological function in the mother-to-be, chiropractic care helps provide an environment that supports the activities of other members of the healthcare team in attempts to turn the fetus so that the orientation is head down, and otherwise helps support an optimal outcome of a vaginal delivery.